Judges have 14 days from August 10 to rule on the case, which has delayed Mnangagwa’s inauguration as president. Zimbabwe’s ruling ZANU-PF party on Wednesday filed a counter-petition challenging the opposition’s court bid to overturn election results that gave a narrow victory to incumbant Emmerson Mnangagwa. ZANU-PF submitted its papers to the Constitutional Court, which is considering an appeal by the opposition MDC party alleging that the election was rigged in favour of Mnangagwa, Robert Mugabe’s former vice president. The Movement for Democratic Change (MDC) has accused ZANU-PF and the election commission of ballot fraud in the July 30 vote, Zimbabwe’s first poll since the ousting of Mugabe in November. “We have filed our papers opposing the petition filed by the MDC,” Paul Mangwana, a ZANU-PF spokesman and member of the legal team, told AFP. 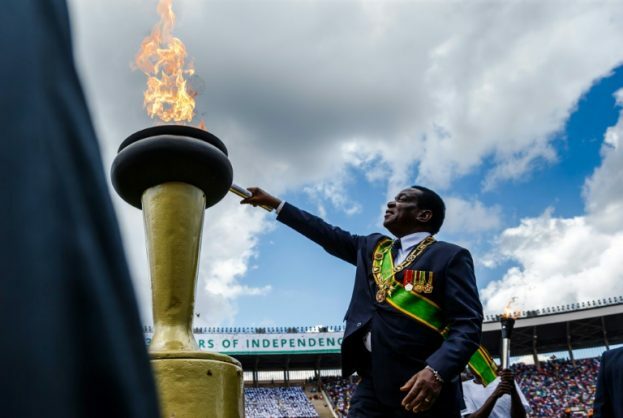 Mnangagwa’s inauguration – which has been planned for last Sunday — was postponed until the court makes its ruling. Mnangagwa had vowed the elections would be free and fair, and would turn a page on Mugabe’s repressive 37-year rule. The election was marred by the army opening fire on protesters, killing six, allegations of vote-rigging and a crackdown on opposition activists. Analysts say that the MDC’s legal challenge has little chance of success given the courts’ historic tilt towards ZANU-PF, which has ruled since independence from British colonial rule in 1980. Judges have 14 days from August 10 to rule on the case.